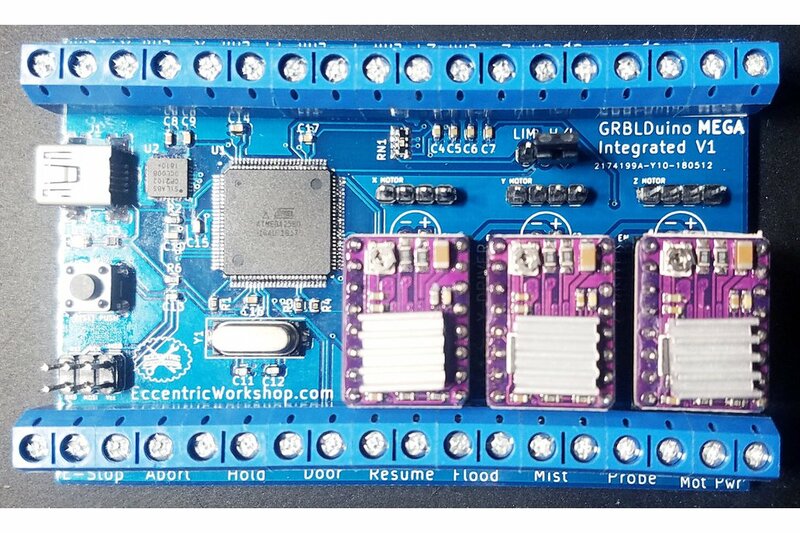 GRBLDuino Mega Shield Integrated V1 is the first user-friendly GRBL v1.1 compatible 3 axis all in one Arduino CNC controller. 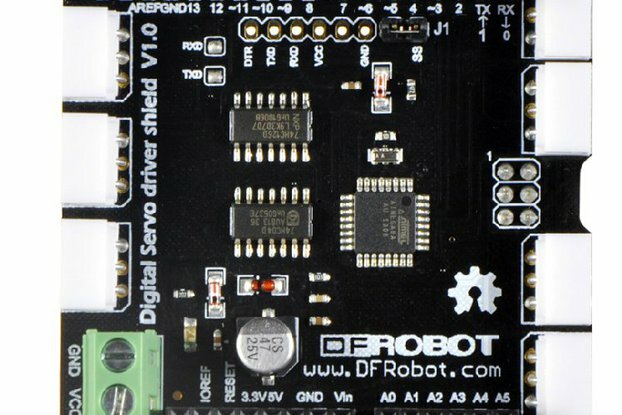 It is not a shield, it is the whole system in one board - no Arduino is needed. Plug in your USB cable and machine connections and get started working! 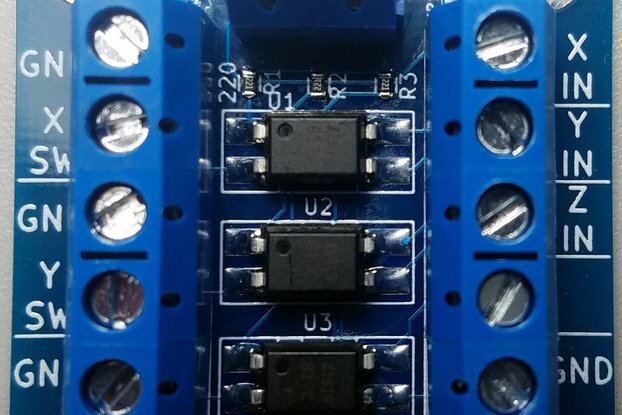 Only available assembled and tested due to numerous SMD components. Shipping is free within the United States. 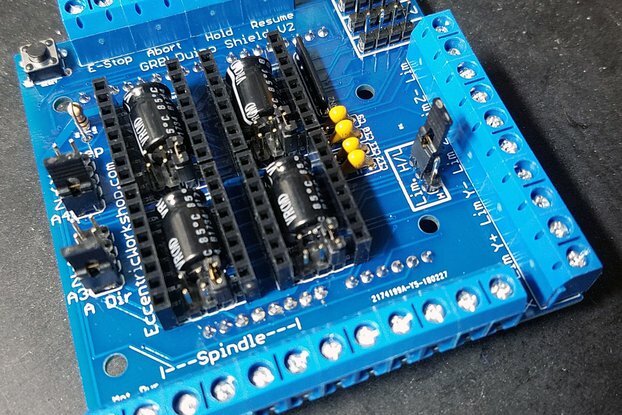 NO ARDUINO NEEDED - IT'S BUILT IN! 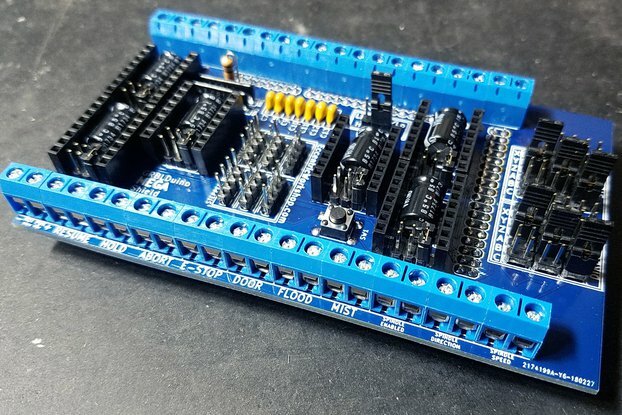 Find more details including schematics, parts lists, and tutorials at the blog. Colors may vary. Arduino not included. 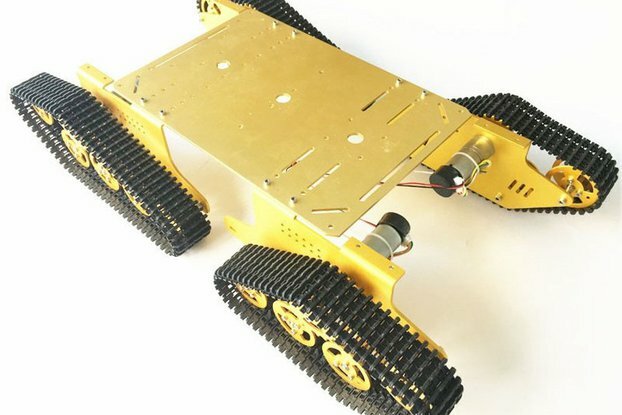 Stepper drivers not included. Orders generally ship each business day but orders placed after the cut-off will be shipped the next business day. Orders placed on weekends and holidays will ship the next business day.